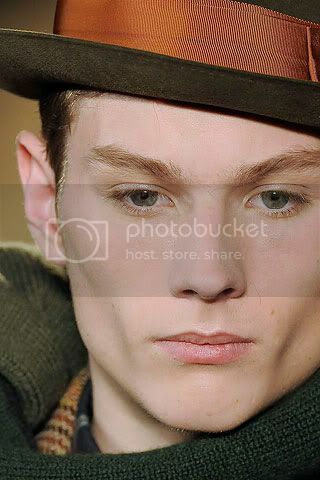 Discussion in 'Hommes' started by lanvinray, Jun 7, 2009. 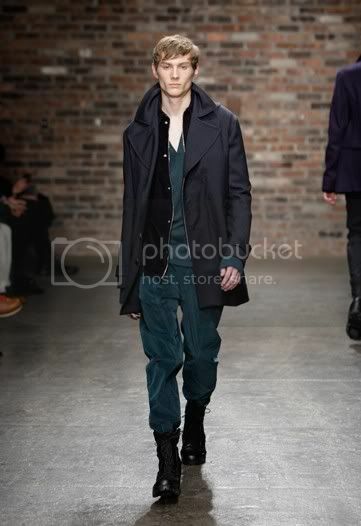 One of the Ford/V Man finalists for Fall 2008. 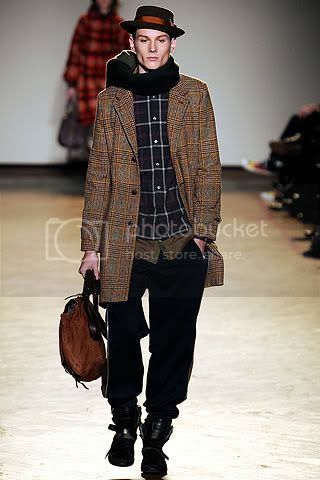 Did Marc by Marc Jacobs show amongst others in Feb 09. 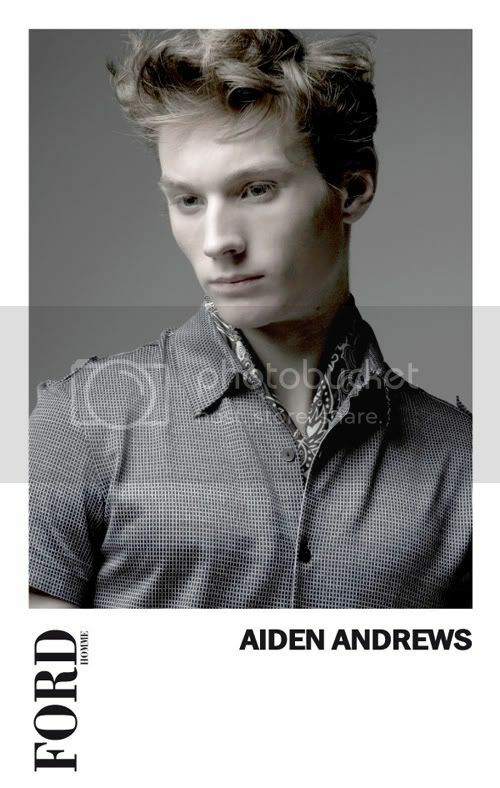 Aiden Andrews/Ford Models. 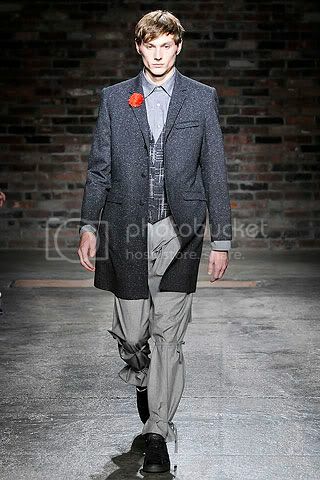 Ford/Vman magazine finalist; Richard Chai, Rag & Bone, Tim Hamilton, Band of Outsiders, and Marc by Marc were just some of his shows. 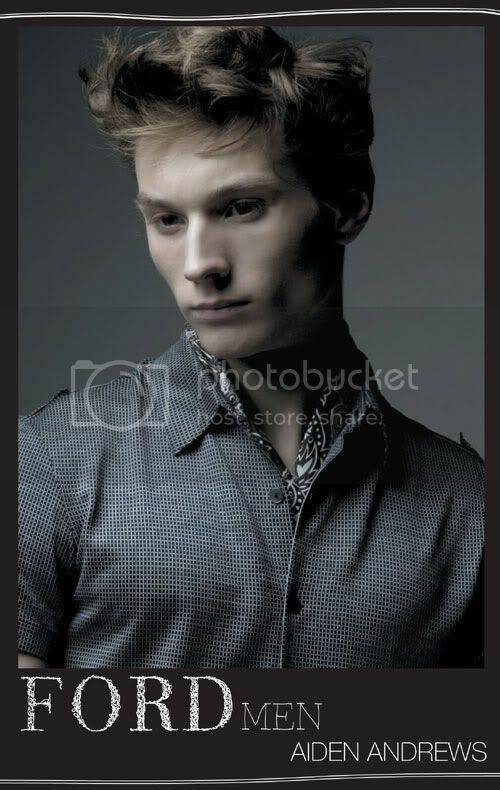 The highlight for me, however, was shooting my favorite VMAN/Ford Model finalist, Aiden Andrews. I've shot Aiden at many shows this week and I'm certain we'll be seeing alot of him this summer over in Europe. 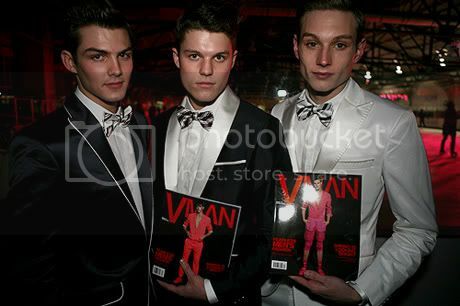 Vman’s second model search finalists are Aiden (20, New York), CJ (16, Virginia), Michael (16, Illinois) and Jake (17, Ohio). 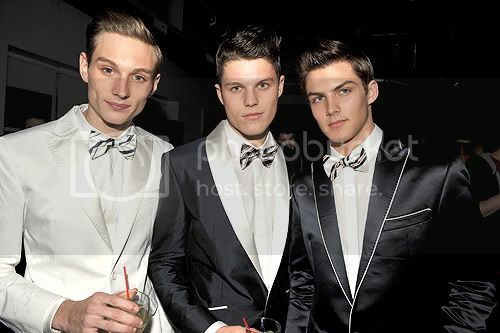 The four new faces will be portrayed by Peter Lindbergh in the next issue of Vman, but only one will make it on the cover. 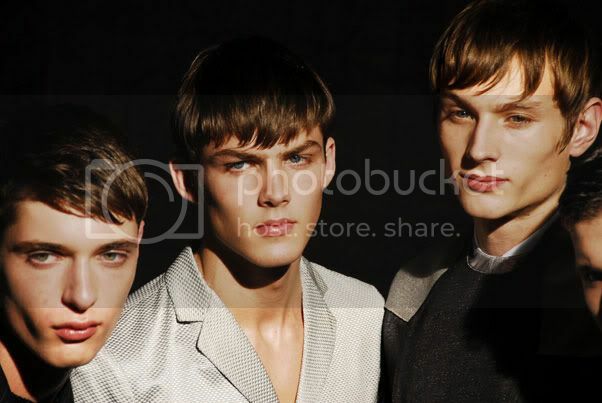 Fashion pundits claim that the obvious winner is Aiden from Auckland, New Zealand (above left, shot by JD Ferguson). But we like Jake and CJ better. So here’s a story about an idiot photographer who decided to shoot last night’s VMAN ice-skating party on blades. For the first time! What was I thinking? And why didn’t I listen to Patrick McMullan’s advice? 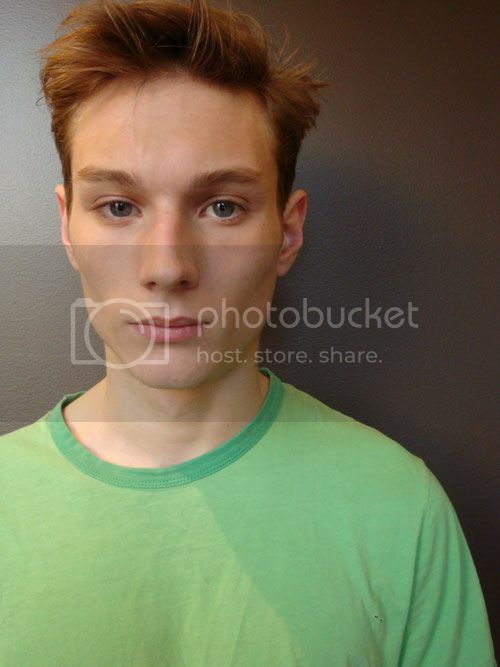 Four times he told me, “You’re lookin’ for trouble,” and he was right. Of course I bit it—big time, like someone falling after trying a triple salchow, landing on my face in front of the whole party and smashing my camera to the ice. What’re you gonna do, right? And, honestly, it’s not the bump on my head or bruised hip that killed my night. It was not being able to photograph all the beautiful faces that turned out to celebrate VMAN Ford Model Search winners Jake and CJ on their VMAN 13 covers, shot by Peter Lindbergh. 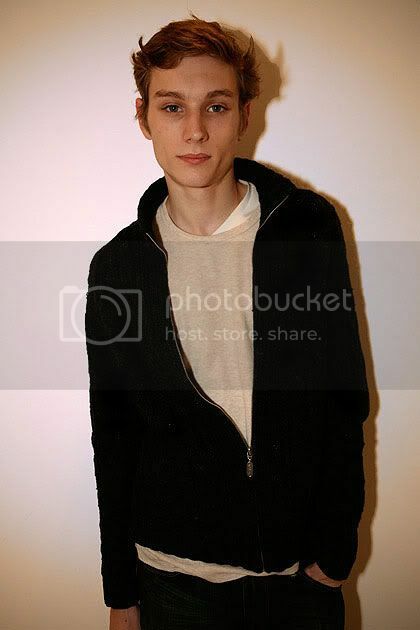 I love his look, I can't believe I have not heard of him and he's from NZ! 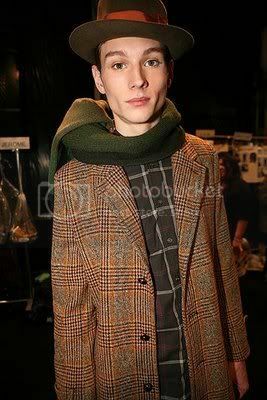 He has amazing bone structure. Thanks for all the pics lanvinray, karma!